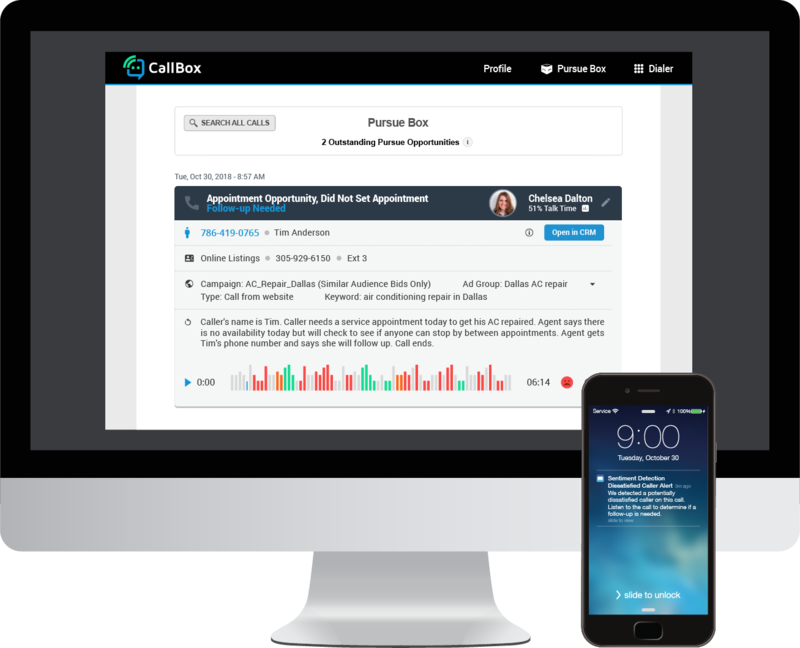 Call Box is a comprehensive solution to improve phone handling, book more appointments, optimize marketing spend, and generate better leads. Uncover gaps in phone processes with recordings and reviews of every incoming and outgoing customer call to provide actionable insight for decision-making. 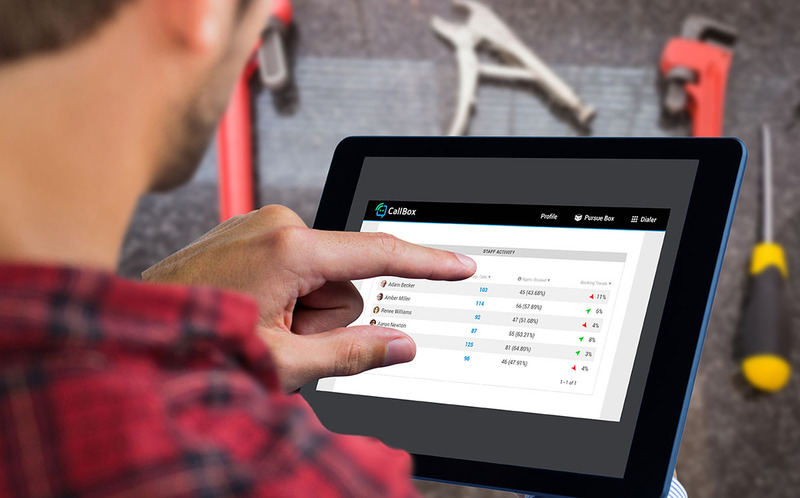 Book more service appointments by identifying customer calls that slip through the cracks and effectively capture otherwise missed revenue over the phone. Provide customers with an ideal phone experience by driving accountability among staff and becoming proactive to problem areas on the phone. Call Box identifies which advertisements are generating your best leads so you can spend your marketing dollars on the highest performing sources. Call Box sends text or email alerts when callers do not connect with your team, schedule an appointment, or have an optimal experience so you can follow up and salvage the opportunity. 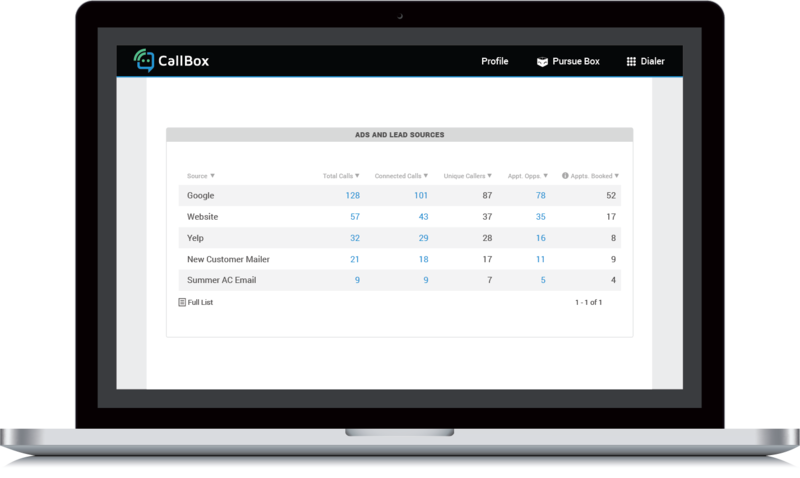 Call Box presents phone performance, both on an individual agent and business-level view, to understand who is struggling and requires your attention.